Linked User Feedback (LUF) is a prototype I led while in iSOCO, as part of our work on the SOA4All project. The LUF service is basically a RESTful API that permits publishing and retrieving user-generated feedback in the forms of ratings, comments and tags. 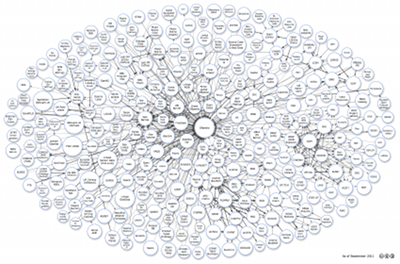 This information is semantically stored in an RDF repository following the Review Vocabulary and the Tag Ontology (as in revyu.com), and exposed as Linked Data. In SOA4All, we used it mainly interconnected with other components of the SOA4All Studio to provide feedback on services.